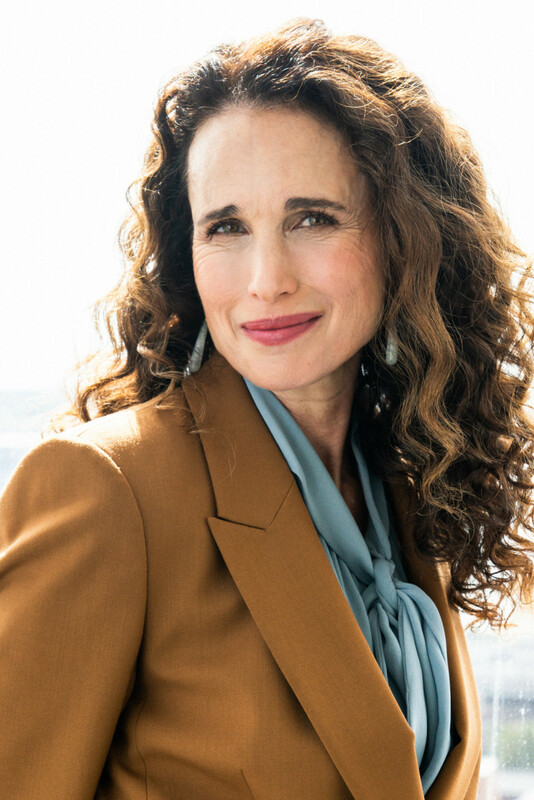 When I walk into the 17th-floor suite of an east end Toronto high-rise, Andie MacDowell is standing in a muted caramel Hugo Boss pantsuit, backlit by the near-bird’s-eye view of the Toronto skyline, taking a bite out of one of the crudités laid out on the table. She dabs her berry-hued lips with a corner of a napkin and leans in to shake my hand. We’ve only just met, but she’s just as interested to hear about my day as she is about speaking on women in film and gender inequality in Hollywood. She’s genuine, and she’ll tell you how it is. 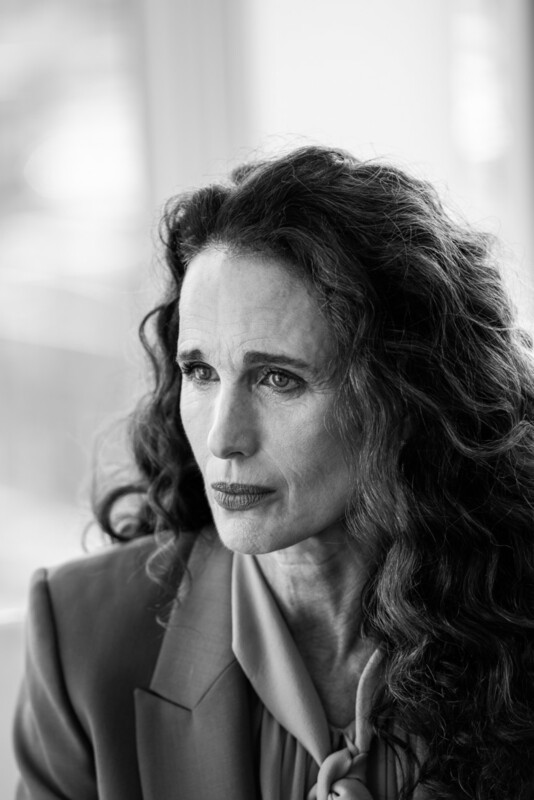 You see, MacDowell is no novice—she’s been acting for over three decades, and has been the face of L’Oréal Paris since she was in her 20s. So to say she’s seen it all would be an understatement. It was a while ago, but do you remember the moment you found out you were going to be the face of L’Oreal? That’s quite phenomenal. How has the journey been? There’s been so much conversation on women in film and diversity of voice during TIFF—it’s been remarkable. Why do you think that is? Have you faced any challenges yourself? Have you experienced ageism too? “Yes, people would say to me, ‘How does it feel to turn 40 and know you’re not going to work anymore?’ and the fact of the matter is that it gets really tough. OK, this is a sweet one, this is juicy: I had people say, ‘Don’t worry, honey, you’re going to work because Jack [Nicholson] and Warren [Beatty] are going to need people like you.’ Well, these people are 20 years older than me. I’m thinking to myself, ‘Well, at least I’ll work,’ and that is where we are as women, that is where we are! I did end up doing a movie with Warren shortly after someone said that to me, and you know what, I’m pleased, I’m thankful. Give me a job, yes, I’m thankful, but it has to be with someone 20 years older than me in their minds because that’s what happens to women. When women turn 40, from a man’s perspective in Hollywood, they are no longer sexual creatures. It’s gone. That’s what they think. But men, they’ve become much more handsome, and this connotation has been sold to us so deeply that I hear intelligent women say the same thing. What advice do you give your daughters who are now in the industry?